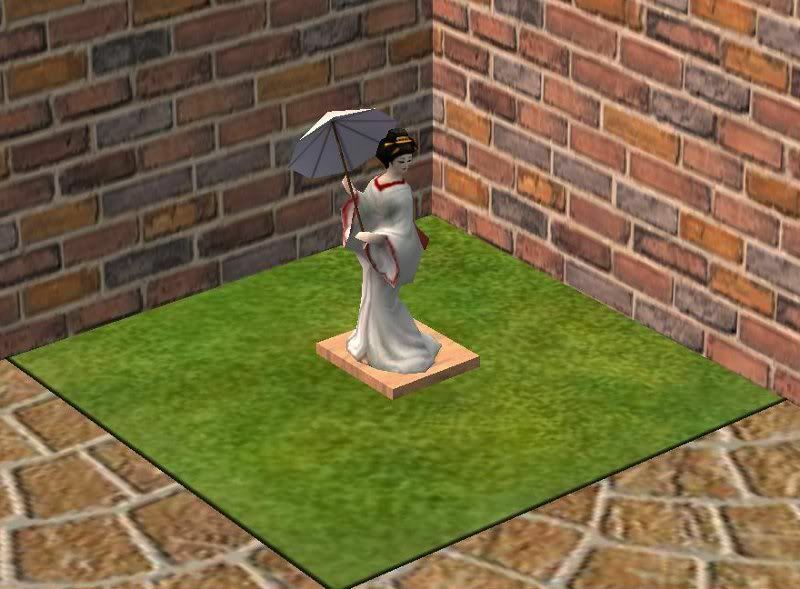 I saw this beautiful little geisha sculpture in The Sims 3 Store, and even though she's not advertised as a gnome, I thought the mesh and texture would be perfect for a gnome. She's cloned from the base game gnome, so sims can kick and steal her. Also, I've added new BHAV interactions. 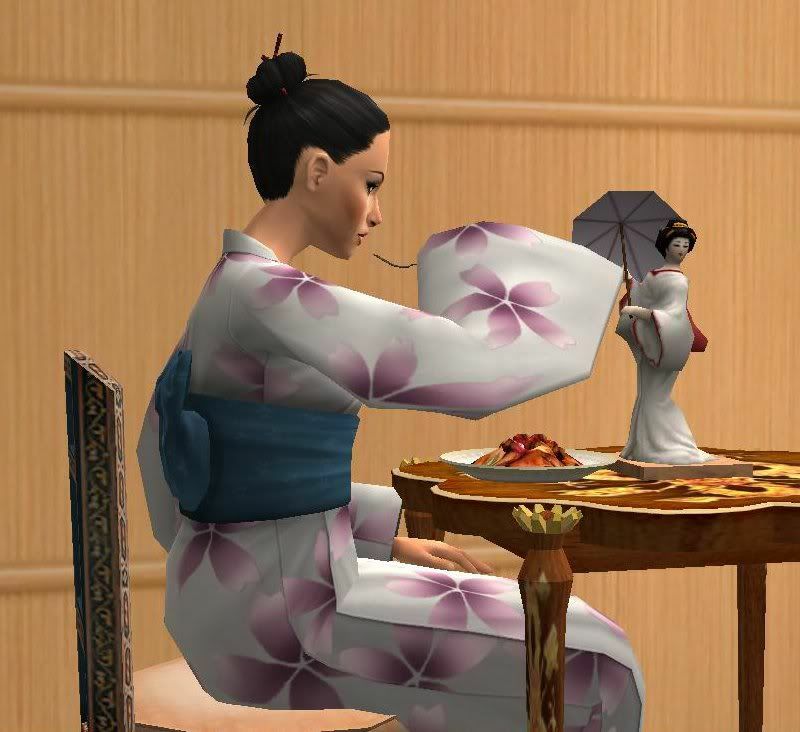 She can be placed on any surface (although for some reason I can't get her to go on the floor inside), and will function as a valid centerpiece (meaning sims won't push their chair away and hold their plates in their hand if she is placed in the center of a dining table while eating). I also (very soon) plan to update my Ambitions Gnomes, Showtime Gnomes, and Leprechaun Gnome as well as all of the gnomes from every TS3 EP to date to allow the same functions. Enjoy! She's lovely, reminds me of the one my dad brought back from Japan for me when I was younger. Thank you. I would love to have this pretty doll if possible. Thank you.